To help you choose which is the best road bike under $1000 we’ve made 5 great selections of what we consider the best road bikes available within that budget. And we’ve also included a buyer’s guide: How To Choose The Best Road Bike Under $1000 to let you know what to look for when considering a purchase. Tommaso’s philosophy is that quality and good looking bicycles should be available to everyone, regardless of budget. They manage to deliver this philosophy in every bike they produce, and the Forcella is no different. One of the ways that Tommaso keep the price of their bikes down is by producing as many components as possible themselves. Apart from the drivetrain, brakes, saddle, and tires, everything on the Forcella is by Tommaso. The compact and comfortable frame is constructed from 6061 aluminum. This alloy is light and durable, ensuring that you will get many years use out of it. At the front of the bike is a Tommaso carbon fork. The carbon front end complements the aluminum frame by absorbing road vibrations before they reach your hands. Care must be taken when tightening the stem around a carbon steerer tube. Either invest in a set of torque wrenches to set up your new bike or let a professional shop do this for you. Keeping you rolling is a Tommaso wheelset. You get lightweight wheels with aerodynamic rims. These are mounted to Kenda tires. The seatpost, handlebar, stem, and even bar tape are Tommaso branded. Tommaso let Shimano take care of the shifting on all of their bikes. The Forcella comes with a complete Claris drivetrain and brakes. As all of the components are from the same manufacturer and groupset, it is no surprise that they work flawlessly together. The 3×8 gears give you a huge range, perfect for getting you up and down any mountains on rides as big as your legs can handle. Perfect shifting is offered by the derailleurs and you also get integrated brake levers and shifters, so your hands are never far from the controls. This is a very versatile bike. Although you are unlikely to pedal it all the way to a podium, you can certainly enter races with it. If it is just fitness or commuting you are looking for, the Forcella will happily support you. Every Tommaso frame comes with eyelets and rack mounts, so if you want to embark on a long distance journey with nothing more (but probably more) than the essentials, you can bolt on so pannier racks and get going. The Forcella is a fantastic entry level road bike with the performance and versatility of bikes that cost much more. You will not be disappointed. Not everyone is built the same. We all are different sizes and shapes, so it impossible for bike companies to build a frame that will be comfortable for everyone. Most frames will fit the average person and many are unisex. However, just because women are generally smaller, this does not automatically mean that a smaller frame will be comfortable. To address this problem, more and more brands are designing women’s specific frames that are intended to fit the (average) woman cyclist better. The Revere 3 is one of these. The 6061 aluminum frame has double butted tubes and is intended for endurance, training, and fitness, rather than racing. Designed for beginners, the rider sits in an upright position for comfort. It is paired with a custom carbon to alloy fork to keep the front end stiff. Shimano 105 and STI components take care of the drivetrain with a 2×11 setup. This wide range of gears provides you with everything from easy gears to spin up long or steep hills to bigger gears for high-speed descents, as well as everything you could need in between. The Revere 3 rolls on Formula alloy hubs and Weinmann XC180 double wall rims. Speed and strength is the focus here. When it is time to slow down, TRP Spyre C dual actuated mechanical disc brakes have got you covered. These excellent brakes are easy to set up and adjust. They also offer great modulation, so you have complete control over how hard you are braking. Raleigh spec own brand parts for the cockpit, including an Aero Ergo flat top handlebar and antishock stem, which should help prevent some hand fatigue on long rides. Overall, the Revere 3 is an excellent bike for women who want to get into the world of road cycling on a comfortable bike that fits well. Ride comfort with no loss of efficiency or stiffness was the aim when Schwinn created the Vantage series. 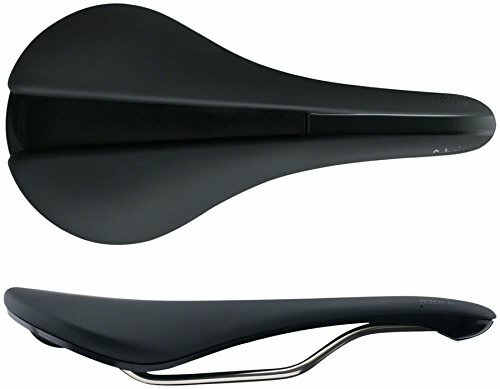 Schwinn Smooth Ride Technology (S.R.T) uses an elastomer isolation unit to allow the seat stays and seat tube to move 15mm up and down. This movement dampens vibrations and takes the sting out of bigger bumps. Lateral stiffness is maintained so you can enjoy an efficient yet highly comfortable frame. A carbon fork adds to the stiffness and provides some vibration damping for your hands. The Vantage is intended to be versatile. It is at home racing, as well as endurance, fitness, and even touring. There is a full set of mounts for racks on the frame. An 18-speed Shimano Sora drivetrain gives you all the gears and reliability you need, regardless of what kind of ride you are on. Tubeless wheel technology is the future and the Rx 2 comes with tubeless ready Alex DP21 rims. This means that your bike will come with inner tubes but you can easily convert it to tubeless to enjoy weight savings and almost never getting a puncture again. The Continental Sport Contact II tires are intended for city use. 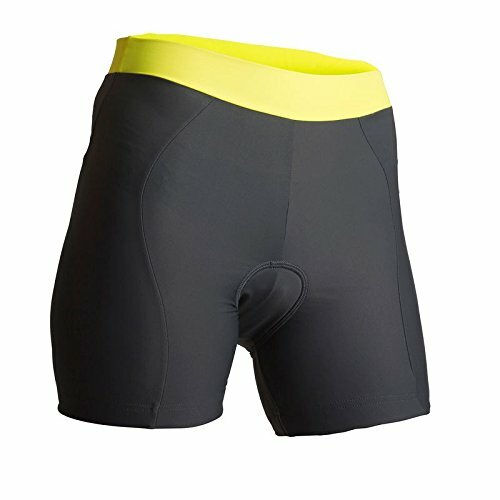 They have kevlar reinforcement to prevent flats and are very durable. 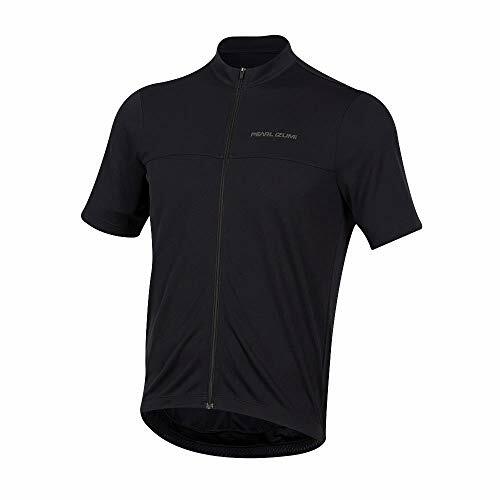 For long rides in the countryside, you may wish to swap them. TRP Spyre C dual actuated mechanical disc brakes take care of the braking. You get great power and modulation from these brakes, and they are easy to set up and adjust as well. Reliable braking is a must on a bike like this and TRP have you covered. In keeping with the intention that the Rx 2 can be used for long rides or touring, Schwinn include an own-brand endurance handlebar. Although still a beginner bike, the Rx 2 starts to span the gap to being something for more serious cyclists. It comes with a full complement of quality components and is comfortable to ride regardless of distance. It makes a perfect upgrade platform for when you want to take your cycling to even more serious levels. Looking at the component list of this bike, it should really cost much more. 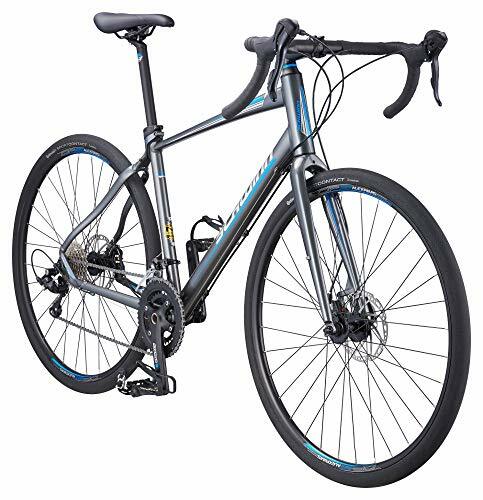 You get a double butted 7005 aluminum frame with carbon fork, which is unmatched by other bikes at this price point. The carbon fork keeps the overall weight down and adds stiffness, as well as vibration damping to the front end. Beginners beware! Great care must be taken when tightening a stem around a carbon fork steerer tube. A tiny bit too much torque and you will damage the steerer. It is therefore advisable to invest in a set of torque wrenches to ensure precision. There is a slight flex in the frame, so it is not as responsive as more expensive models, but this is to be expected at this price. When riding the Ventura Comp, you sit comfortably between an upright and low aerodynamic position. 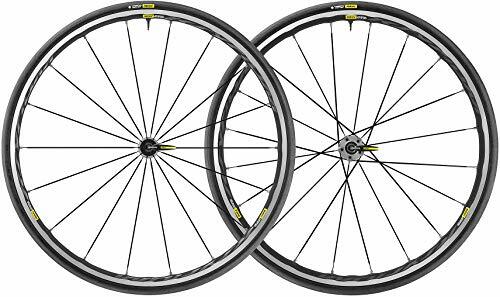 Adding to the stiffness is a Mavic CXP wheelset. These wheels are not only strong and durable, but also have a slight aero profile. The wheels comes with 23mm wide Vittoria Zaffiro tires, which wear slowly and roll fast. There are better tires available, but these are a good set to start on. Wider tires have become more popular in recent years, so you may wish to upgrade. The drivetrain is made up of Shimano Sora/Tiagra shifters and derailleurs, with a FSA crankset and a SRAM cassette. Although a mix of brands, the components work very well together. Tektro R312 brakes take care of slowing the bike down. At the cockpit you will find a Ritchey Logic stem and handlebar. It is surprising to see Ritchey components on a bike at this price. With the carbon fork, professional cockpit, and great wheels, the Ventura Comp is more than just an entry level road bike. If we had to point out a weak link, it would maybe be the narrow tires. Everything else adds up to a fantastic package at a remarkably low price. The Diamondback Century series is intended for beginner road cyclists who are interested in long distance and endurance cycling. There is a model to match every budget. This model may sit at the bottom of the price options, but that does not mean that it is not worthy. In fact, it is a great package at a great price. It comes with a 7005 aluminum frame with double butted tubes for strength and durability. In terms of geometry, the Century is designed to put you in an upright position. In comparison to a low riding position, being upright prevents fatigue on long rides and is therefore a good choice for beginners. A complete Shimano Sora drivetrain gives you accurate and reliable shifting. The 2×9 range is wide enough for long rides and keeps weight down in comparison to 3x setups. It is nice to see that the frame and fork are compatible with disc brakes. Tektro Lyra mechanical disc brakes are included. While these brakes have good stopping power, they are not quite as easy or convenient to adjust as other brakes. For example, there is no tool-free pad adjustment at the lever. Instead this must be done with a barrel adjuster at the caliper. Consequently you cannot adjust the pad contact point on the fly and will have to constantly stop and get off when setting them up in the first place. This may be inconvenient but is certainly no deal breaker. Double wall rims on alloy hubs provide you with a strong wheelset. Wide 28mm Michelin Dynamic Sport tires help to ensure comfort when riding for many hours. Finishing off the Century are HED cockpit components. With its great value and focus on long distance performance, the Century is the perfect choice for beginner road cyclists who are interested in endurance. If you want to get into road cycling, you may look at pro and local hobby riders and think that you have to spend huge amounts of money on a bike. It may then surprise you to learn that you can get a perfectly roadworthy bike for less that $1000. Granted, you will not get a top performing carbon race machine that weighs less than a feather, but you are probably not trying to win races. For those that want to get cycling on a sleek, good looking, and functional road bike without making a huge investment, you are in luck. With this budget, you will not be getting a particularly light bike and you will also have to accept that it will not have the best components. This does not mean that you are getting a bad bike however. To make frames and components light, more expensive materials have to be used. Likewise, when it comes to performance, the components found on pro bikes are the pinnacle of bike technology. The price reflects the engineering and design that goes into developing them, as well as the cost of the lightweight and durable materials. As a beginner, or someone who wants a road bike just for exercise, you do not need such high-performing components. A road bike under $1000 will still have functional components that perform perfectly well for your needs. The handling and ride feel of any bike is determined by the frame. It is also usually the heaviest component on a bike. In this price range you can expect to get a bike with a good quality aluminum alloy frame. It will be relatively light and stiff, depending on the exact alloy used. Carbon fiber frames are lighter, stronger, and have better vibration damping. The cost of producing a carbon frame is very high, so you are unlikely to find a carbon framed road bike under $1000. Make sure you choose the correct size for your height by studying the size guide. 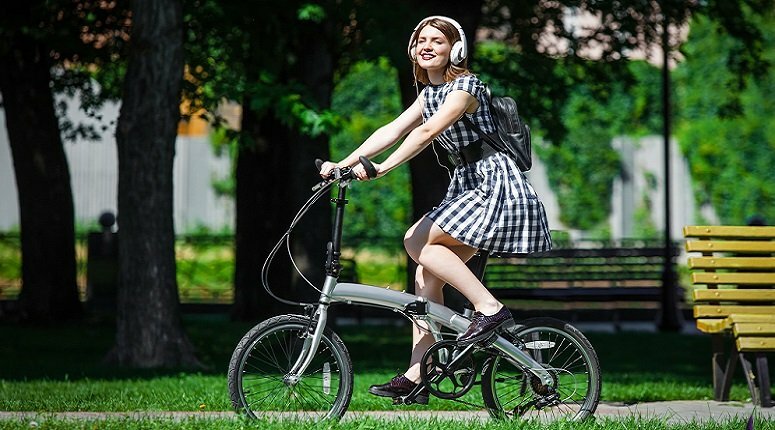 You do not want to end up riding a bike that is too big or small for you. Wheels also have a surprising effect on the performance of a road bike. More than any other component, you should look for a good wheelset. The reason being that good pair of wheels can be an expensive upgrade and it is better to have good wheels and compromise on some of the drivetrain components than the other way round. A stiff set of wheels transfers more power but absorbs less vibrations from the road. Light wheels are easier to accelerate and keep the weight of the bike down. Carbon wheels are the lightest and stiffest available but are unlikely to be specced on road bikes under $1000. Instead you will find aluminum wheels. 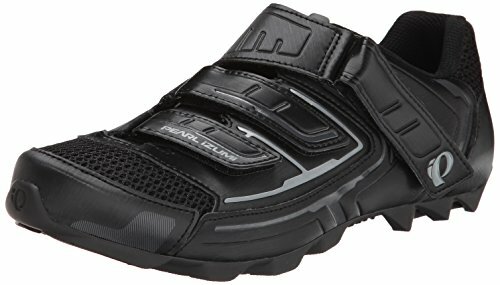 Depending on the price of the bike, these will be from a known brand, or generic. As a general rule, the more you spend, the better the wheelset. Do not worry too much about the wheels that come on the bike. They will certainly perform as well as you need them to, and you can upgrade them in the future. You can expect your bike to come with a good set of tires from a known brand. If not, an upgrade is not too expensive. There is no guarantee that the included tires will suit your riding anyway, so you may swap them regardless. There are a lot of components on a bike that work together to transfer power from your legs to the wheels. Together they are referred to as the drivetrain. Your feet push pedals, which are connected to cranks. The cranks are joined via an axle through the frame called the bottom bracket. The right-hand crank connects to chainrings which drive the chain and sprockets of the cassette forward. The cassette is mounted to the rear hub. As the cassette is turned by the chain, it forces the hub and wheel to turn, driving the bike forwards. There are usually multiple chainrings and sprockets on the cassette. Using different combinations allows you to add or reduce resistance according to where you are riding. To move the chain between the chainrings and sprockets, there is a derailleur at the front and back, controlled by a cable actuated shifter on the handlebars. There are a few big names when it comes to drivetrain components. 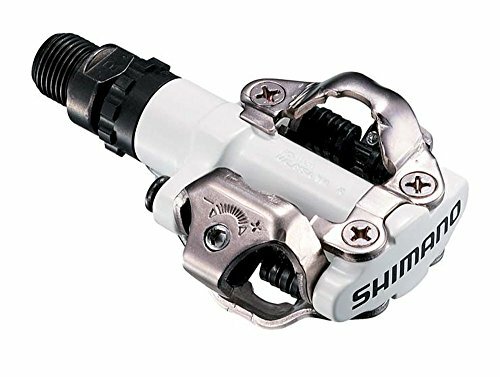 On road bikes under $1000, you are most likely to find Shimano components, and maybe a few generic ones thrown in too. Shimano is maybe the biggest producer of bike components worldwide. Even the cheaper components perform well so do not be put off. Most drivetrain components wear out over time, especially the chain, chainrings, cassette, and derailleurs, so you can upgrade to lighter components after a while if you wish. On a road bike under $1000 you are likely to find either good quality branded handlebars and stem, or own-brand components from the bike (frame) company. The latter are usually generic components that have the company’s logo added, whereas the former will have been designed and produced by the brand. The length of the stem and width of the handlebar influence how you sit on the bike and how comfortable you are. You can swap these components to customize the fit. If you are lucky, you will find a carbon fiber fork. 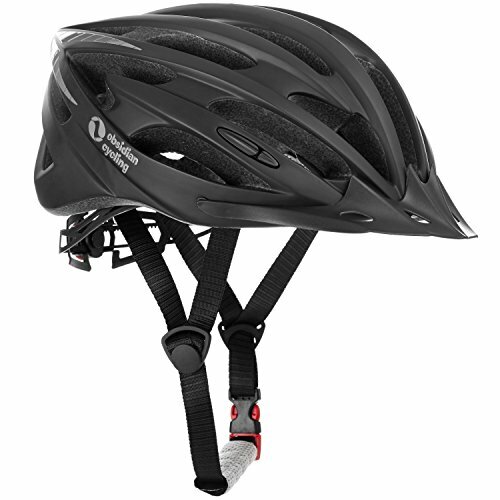 This is an excellent addition to a road bike with an aluminum frame as it will absorb road vibrations and help keep the weight of the bike low. If not carbon, the fork will be aluminum or maybe steel. The best road bikes under $1000 should come with a good set of brakes. These will either be mechanical rim brakes or disc brakes, which can be mechanical or hydraulic. The latter have much more stopping power but are unlikely to appear on a road bike in this price category. Rim brakes work by creating friction against the outer rim wall of the wheel. Eventually the rim will wear out and need replacing. Disc brakes use a disc mounted to the hub to slow the wheel down, which means that the rim is preserved. However, cheap mechanical disc brakes do not always have the same power as rim brakes, so make sure you do your research. 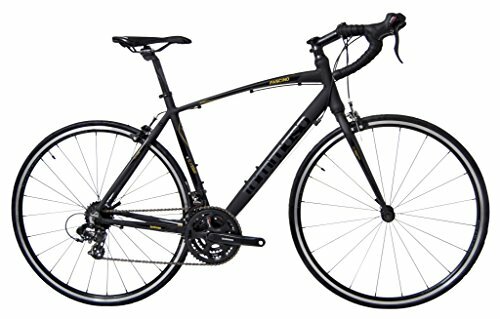 We chose the Tommaso Forcella Endurance Aluminum Road Bike as Editor's Choice in the "Under $1000" category.